Animal Rabies is endemic throughout South Africa and the disease is currently responsible for the laboratory confirmed deaths of between 10 and 30 people each year. Tragically, with very few exceptions, those who succumbed to the disease over the past decade did not receive the correct post-exposure prophylaxis and died following bites by rabid dogs. There have been several new and exciting developments in our knowledge of the disease and in measures used to control Rabies in South African animals. The use of monoclonal antibody typing, together with gene sequencing technology, have revealed several different strains of the Rabies virus, some of which appear to show clear host preferences. The entire country was declared Rabies-endemic during 1999 and it is now compulsory for all dogs and cats to be vaccinated at least once every three years. Shedding of virus in saliva usually occurs simultaneously with, or soon after, the appearance of clinical signs and progressive with death usually within 10 days in animals and five days or less of the onset of Rabies symptoms in humans (J.D Godlonton, personal communication). Following central nervous system infection, the virus is transported centrifugally along cranial nerves and along motor and sensory pathways as well as the spinal cord. This results in the presence of viral particles in peripheral nerve tracts in many tissues, particularly those of the head. Therefore, a diagnosis of Rabies may sometimes be possible by examination of skin sections, where antigen can be detected within nerve tracts, or corneal smears. In all mammalian species the host is not infectious for most of the incubation period. Rabies infection is fatal in all species and no species is known to have a carrier state where virus is shed in the absence of clinical signs or imminent clinical signs. Exceptional and rare cases of human survivors have been recorded in a handful of cases where the patients did receive some prophylaxis but had severe residual neurological sequelae. To date only one case of a human survivor has been recorded in a patient who did not have any history of prophylaxis. The reason for the patient’s recovery is still being investigated and disputed. Animal and human Rabies vaccines consist of inactivated whole-virus antigens on a cell culture or neural tissue substrate and, in the case of more modern cell-culture vaccines, partially purified to remove unnecessary proteins. Generally, veterinary pre-exposure vaccination, while human vaccines, which are considerably more expensive to produce, are used post-exposure. Pre-exposure vaccination may be recommended in people at high risk. There are no records of human Rabies cases that have occurred in people fully vaccinated according to World Health Organisation (WHO) recommendations. Post-exposure prophylaxis of humans, using vaccine and immunoglobulin according to WHO recommendations, provides rapid and effective protection if administered soon after exposure. The most frequent causes of failure of post-exposure prophylaxis are delays in administering the first failure vaccine dose or immunoglobulin, failure to complete the vaccine course and failure correct wound management. Infiltration of the wound with immunoglobulin does not interfere with stimulation of the immune system by vaccine, which is administered at a site distant from the wound. Rabies appears to spread fairly well within bat-eared fox populations, yet transmission of infections to other species is relatively rare. The underlying reasons for this are still to be elucidated. Population dynamics (including population turnover) and the distribution of susceptible animals are extremely important factors determining the prevalence of Rabies in other species, and the bat-eard fox is no exception. The most important maintenance host of mongoose Rabies is the yellow mongoose, Cynictis penicillata, a diurnal animal that lives in colonies of 10 or more individuals. The disease has been endemic in yellow mongoose populations for decades and possibly centuries. Attempts by veterinary authorities to control the disease by depopulation, for example by gassing burrows and trapping, have only had a transient effect. These measures may ultimately have accelerated the spread of the disease by increasing the territories of yellow mongoose colonies with concomitant increase movement. Spreading infection to suricates, which are migratory herpestids living in groups of up to 30 individuals, and ground-squirrel populations are fairly common, because these species often share warrens or live in close proximity to yellow mongoose colonies. Humans and domestic animals such as sheep, cattle and dogs have been infected and succumbed to mongoose Rabies virus but are regarded as dead-end hosts because spread within these species is rare. Apart from behavioural changes, there are no definitive, species specific clinical signs of Rabies. Although certain clinical signs are more frequent than others, even the most experienced diagnostician may make an incorrect diagnosis when presented with an unusual case. Rabies can mimic many other diseases but it always has a neurological component. Because Rabies affects the central nervous system, it is nearly always associated with behavioural changes that may manifest in many different ways. Classically, Rabies has been described as having a prodromal phase followed by either an excitive furious form, or a paralytic dumb form. The veterinarian is, however, rarely afforded the opportunity to observe an animal throughout the clinical course of disease and diagnosis is often made after minimal observation, especially in endemic areas where Rabies awareness is heightened. Change in temperament, attacking and biting anything (often injuring mouth and breaking teeth), exaggerated responses to sound and light, restlessness, nervousness, snapping at imaginary flying insects, disorientation, wandering aimlessly, a fixed stare, drooling saliva, hoarse howling, choking sounds, “bone in throat” syndrome, a febrile reaction, uncoordinated actions and progressive paralysis, dilated pupils, irritability, photophobia, infliction of self-injury, convulsions, and muscle spasms. Generally aggressive, uncoordinated , frothing, muscular tremors, dilated pupils, staring, a threatening posture, abnormal vocalisation, lack of response to owners, unprovoked attacks, biting (sometimes without releasing grip), convulsions, paralysis, coma, hiding away, some cats appear unusually affectionate and purr, or extend and retract their claws. Several animals may have clinical signs at the same time, a typical hoarse bellow, aggressive particularly on provocation, vicious attacks on inanimate objects, butting other cattle, attacking humans, wind-sucking, “bone in throat” syndrome, separate themselves from rest of herd, anorexia, knuckling of fetlocks especially hind limbs, swaying gait, tail and posterior limb paralysis, jaw and tongue paralysis, profuse salivation, dragging hooves, pseudo-oestrous, hypersexual behaviour, decreased milk production, dilated pupils, fixed stare, grinding teeth, pica, tenesmus with diarrhoea, frequent urination, loss of condition, and emphysema. Symptoms resemble those of cattle but hypersexual behaviour, sexual excitement, incessant bleating, aggression, aimless running, pawing and paddling, and grinding of teeth are prominent. Febrile reactions, altered behaviour, biting of wound site, aggression, thrashing, paralysis, and inability to swallow. Hiding in corners of pen, hypersexual behaviour, aggression, biting, and may kill off springs. Often lose fear of humans. Yellow mongooses generally demonstrate tame behaviour, but some are very aggressive. Jackal are usually aggressive, and lose fear of humans. Wild cats display similar behaviour or domestic cats. Badgets are usually victim and fierce. Kudu salivate profusely, may be paralysed, docile, tame, even entering houses. Duiker are sometimes very aggressive. Confirmation of a clinical diagnosis of Rabies cannot be made by gross pathology or histology. Specific test must demonstrate the presence of Rabies antigen. Animals displaying signs of neurological disease, and all stray and wild animals suspected of exposing humans to Rabies infection, should be euthanized for examination. The Directorate Veterinary Services may hold suspected cats and dogs in quarantine for observation by a veterinarian for a period of at least 10 days. Animals displaying signs of illness during the period of observation are euthanased for laboratory examination. A vaccination history may be of some assistance during the assessment but greater reliance should be placed on the animal’s clinical picture. Although the inactivated veterinary vaccines used in South Africa are known to be extremely effective for periods exceeding three years following vaccination, there are compelling reasons for avoiding undue reliance on vaccination history alone. The animal may have been very young at vaccination and nod boosted at three months. A number of recently developed, highly effective, thermo stable, inactivated vaccines are available in South Africa for veterinary use. The duration of immunity conferred varies from one to three years. Most veterinary vaccines are only registered for use in specific species, for example dogs. Although there are no safety limitations to their use, their efficiency in other species, for example mongoose, is not guaranteed. All Rabies vaccines registered for human and animal use must conform to established potency standards. A minimum antigenic potency of 2,5 IU per dose is mandatory. The vaccines may be used in young pups, but they must be boosted at three months of age and again within the following year. Revaccination must be carried out every three years thereafter. Cattle and sheep may be vaccinated annually or every two to three years, depending on the vaccine manufacturer’s instructions. Some farmers inoculate their herds every year in jackal and dog Rabies endemic areas with these inexpensive vaccines as they consider this practice to be economically sound. Following an outbreak in domestic livestock, vaccination of animals without visible bite wounds is strongly recommended. In cases where bite wounds are visible, or there is direct evidence that an animal was bitten, the animal should immediately be isolated and destroyed. Post-exposure prophylaxis (PEP) of bite-contact unvaccinated carnivores, including dogs and cats, is not recommended in South Africa. Preliminary reports indicate that antibodies in the form of anti-Rabies immunoglobulin (RIG) in combination with vaccine yielded poor results. The use of PEP in animals is not without risk and is not recommended for use in animals in South Africa. Rabies is an ongoing scourge exacting an unnecessarily large toll on human life. The World Health Organization estimates about 55 000 human deaths in canine Rabies endemic areas (31 000 in Asian countries and 24 000 in African countries) annually. Rabies virus is transmitted via the saliva of infected animals and has the highest case fatality rate of any known human infection if the disease has manifested. Once the virus has entered the central nervous system of the host, the resulting encephalomyelitis is fatal. Fortunately the availability has prevented many fatalities and almost 10 million people receive post-exposure prophylaxis annually after potential Rabies exposure, mostly following dog bites. During the first half of the 20th century most human Rabies cases in South Africa resulted from herpestid, particularly yellow mongoose, bites in the central plateau areas. However, following the introduction of canid virus into Limpopo Province in the late 1940s, and later into KwaZulu-Natal in 1961, dogs became the most important source of human infection. In recent years the last majority of South African human Rabies cases have followed bites from infected dogs in KwaZulu-Natal. An outbreak of Rabies in dogs coincided with a dramatic increase in the number of human cases in the Limpopo Province in 2006. Most victims have been children under the age of 10 years. Children are particularly vulnerable because of their height, inquisitive nature, interest in animals and inability to protect themselves. Surveillance of human Rabies is poor in many parts of South Africa and it is likely that the situation may be worse than that reflected by official notifications. A careful history taken from a victim’s family has demonstrated a high sensitivity for diagnosing Rabies in other African settings and may prove a useful approach in areas suspected of having Rabies cases that have not been notified. Canine vaccine delivery targeted to highest risk populations and broad intersectoral collaboration are believed to have contributed to the marked reduction in human Rabies in KwaZulu-Natal during the latter part of the 1990s. Human Rabies cases result from viral introduction through broken skin or mucosa through encounters with rabid animals, particularly bites, but also scratches and nicks. Virus is usually present in the saliva of the affected animal during clinical disease but secretion may be intermittent. Experimental demonstration of virus in salivary glands or saliva several days before risk of transmission during slaughtering, these cases are usually classified as category 2 exposures and require the administration of vaccine, or when physical injuries have been acquired during slaughtering as category 3 exposures. As all mammals are susceptible to Rabies, any infected mammal could potentially transmit Rabies to humans. However mice, rats, shrews and monkeys have yet to be incriminated as vectors of Rabies in South Africa. Rats and mice, particularly those kept as pets, frequently inflict retaliatory bites on children when cornered and caught. Rabies infection has never been shown to transmit Rabies virus in South Africa, they are however vectors of Rabies related viruses such as Duvenhage virus and Lagos bat virus. Rabies is one of the top 10 global infectious causes of mortality and one of the most amenable to available preventative measures. Primary care providers can play a crucial role in preventing Rabies, by providing accurate prevention messages including the avoidance of suspicious animals, immunising people at high risk of Rabies exposure, ensuring optimal wound management, and correctly administering immunoglobulin and Rabies vaccine after suspected exposure to Rabies virus. A recent review found that at current Rabies vaccine prices, routine use of pre-exposure vaccinations is generally not cost-effective. There are, however, particular high-risk situations where pre-exposure vaccination is cost-effective and it would ne negligent not to recommend it. In South Africa the cost of pre-exposure prophylaxis is borne by vaccine recipients or their employers. Pre-exposure vaccinations involves administration of Rabies vaccine on days 0, 7 and 28 (or day 21). Variation of a few days in the timing of second and third doses does not, however, affect the immune response. Currently, two vaccines are licensed for use in South Africa, the purified chick embryo cell culture vaccine and the purified vero-cell culture vaccine. These vaccines are considered safe and effective when administered according to the guidelines put forward by the World Health Organization. Rabies vaccine induces an active immune response that includes the production of neutralising antibodies. The antibody response requires approximately seven to 10 days develop. The duration of persistence of this booster vaccinations. Routine serological measurements of the vaccine recipient’s blood can indicate the presence of levels considered adequate for protection. Virus neutralizing antibody levels of greater than 0.5 IU/ml are considered to be protective by the World Health Organization. A small study confirmed rapid boosting of antibodies up to 19 years after a previous vaccine course. As it has repeatedly been found that people with intact immune systems experience a satisfactory response to approved vaccines, it is only necessary to demonstrate an adequate serological response in immunocompromised individuals or those working with live virus and those who are blood donors for Rabies vaccines products. Rabies-neutralising antibodies are analysed by a neutralisation test. Two booster vaccinations (day 0 and day 3) should be administered to all vaccinated individuals that has had risk of exposure to rabid animals irrespective of their antibody titres and they should not receive immunoglobulin. Although a two-dose schedule (days 0 and 28) has also been investigated, results have confirmed the superior long-term immunogenicity of the three-dose approach for pre-exposure prophylaxis. People with increased occupational risk of exposure to infection, such as veterinary staff, wildlife handlers, laboratory personnel working with Rabies virus or animal welfare staff, should receive pre-exposure prophylaxis. This should preferably be by administration of three doses vaccine into the deltoid muscle on days 0, 7 and 28 (or day 21). Because the virus may be present in the saliva of patients with Rabies, there is a potential risk of health worker exposure. Human to human transmission has however never been reported under these circumstances. Infection control measures to protect health workers caring for patients with Rabies should be instituted to protect against bites and exposure to infected saliva: gowns, gloves and goggles. Post-exposure prophylaxis with Rabies vaccine may be considered in selected cases if there has been significant exposure i.e. bite from an infected patient. Surveillance staff responsible for bleeding dogs as a plague indicator species in Rabies endemic areas are another occupational group that clearly merit pre-exposure vaccination. Routine vaccination could be beneficial for children in countries where Rabies is enzootic. As children are particularly vulnerable and experience a higher frequency of bites to the head and neck as a result of their inclination of Rabies vaccine in the Childhood Expanded Programme on Immunisation in Rabies Vero cell vaccine with diphtheria, tetanus, whole-cell pertussis and inactivated poliomyelitis vaccine and administering these vaccines at two, three and four months, or alternatively at two and four months, resulted in all infants developing protective antibody concentrations against all five diseases with no serious adverse events. A larger trial, also in Vietnamese infants, comparing intramuscular and intradermal vaccine administration demonstrated that both routes provided acceptable antibody titres (0.5 IU/ml). Unfortunately current vaccine costs prohibit routine childhood vaccination against Rabies. There is, however, a clear mandate for children to be formally educated on Rabies transmission, the disease and prevention, particularly as educational interventions have proven effective in reducing the number of dog bites in children. Rabies in an important disease for the burgeoning travelling community. In the United States, for example, 37% of people dying from Rabies are infected in foreign countries. 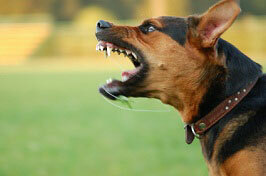 Canine Rabies is endemic in some of the developing countries of Asia, Africa and South America. This poses a risk to travellers, particularly in the backpacking or adventure category. Unfortunately discussion on reducing Rabies risk is one of the topics often neglected by travel medicine advisors during pre-travel consultations. Travelling to these areas must be educated concerning their risk of Rabies exposure and informed regarding local reservoir species so that they can avoid contact with potentially rabid animals. They should also receive instruction on correct wound cleaning, the importance of correct post-exposure prophylaxis with vaccine and immunoglobulin, and their availability at the traveller’s destination. Travellers with potential occupational exposure should certainly receive appropriate three-dose pre-exposure vaccination and this should also be considered for all long-term expatriate residents in high-risk areas, particularly those living in close proximity to the local population and their dogs. Debate continues over the merit of administering routine pre-exposure vaccination for other categories of international travellers to Rabies-endemic countries. The rate of animal bite exposure in international travellers has been estimated to be two to four people per thousand and in the majority of these cases there is some concern about Rabies infection. However, where correct post-exposure prophylaxis is available, this is effective in preventing Rabies and pre-exposure vaccination is of less importance. Although local reactions, such as pain, swelling and itching, occur in most vaccine recipients and mild systemic reactions, such as headaches, nausea, muscle aches, abdominal pain and dizziness are reported by 5 to 40% of people vaccinated, serious adverse events are rare. The major constraint against routine administration remains the cost of pre-exposure vaccination. The cost, for example, of preventing Rabies in United States tourists to Thailand by routine pre-exposure vaccination was estimated at between US$ to 50 million per Rabies death prevented. On the other hand, areas where stray dogs are a problem are often the specific areas where canine Rabies is endemic, and efficacious vaccines and immunoglobulin are not available. Fraudulent vaccines, nerve-tissue derived vaccines and equine immunoglobulin commonly associated with severe adverse reactions may be used in these countries. In certain areas tourists are frequently exposed to dogs, for example a survey of European travellers in Thailand found that in less than a three week period 1.3% of tourists experienced dog bites and 8,9% dog licks. Advantages of pre-exposure Rabies vaccination include requiring only two boosters, on day 0 and 3, if there is an exposure, no need for immunoglobulin, and diminished concern about inadequate therapy and vaccine failure. Advice and vaccination should be adapted to the individual needs and exposure risks of traveller, taking into account the area visited, local Rabies epidemiology, mode of travel, and underlying medical conditions and medication. Travellers who are immunocompromised by disease or selected medications are a group deserving particular attention as immune response to vaccine for which Rabies pre-exposed vaccination is indicted. When this is not possible, immunocompromised individuals who are their antibody titres checked post-vaccination. The death of a person from Rabies should be viewed as a health system failure. This contention is supported by e review of failure post-exposure prophylaxis in Thailand, which found that delays, failure to provide post-exposure prophylaxis or deviations from the recommended regimen contributed directly to the deaths of young children. Findings from studies in South Africa and Thailand have highlighted deficiencies in health workers’ knowledge on managing suspected Rabies exposures. It is therefore recommended that a confidential enquiry routinely be conducted to establish avoidable factors which may have contributed to the death. Although no controlled human trial of Rabies post-exposure prophylaxis utilising wound treatment, immunoglobulin and vaccination has been conducted and such a study would be unethical, extensive global experience provides convincing support for this approach. There is a critical need for veterinary and health workers to be adequately trained on assessing Rabies risk and appropriate response. It is also imperative that health and veterinary workers involved in managing human cases with potential exposure to Rabies virus remain in close communication so that patient management can be modified by data about the source animal. The health worker is obligated to make contact with the responsible state veterinarian. Laboratory-confirmed human Rabies and exposure to proven rabid animals is notifiable in South Africa. Important factors that assist decisions on prophylaxis, include details of the nature of the contact and the implicated animal’s behaviour. It is imperative that prophylaxis be instituted as soon as possible after exposure to Rabies in the animal. Ideally post-exposure prophylaxis should be administered to all bite victims, but availability and costs of the biological is a problem. The approach adopted in South Africa on providing prophylaxis to those individuals at high risk of Rabies infection. Type of contact. Bats may be involved in transmitting Rabies-related viruses, i.e. Duvenhage and Lagos Bat virus, and any encounters should be considered. Small rodents e.g. Mice rats commonly found in an around dwellings are not typically associated with Rabies. To date in South Africa there has only been one transmission of Rabies associated with a bite from a baboon. When the biting animal cannot be traced, caught or identified, or the brain is not available for laboratory examination, it should be assumed that the animal was rabid. An animal vaccinated before 3 months of age with no booster may not be protected from Rabies. There is no blood test for the human victim that can confirm or exclude transmission of Rabies virus from an infected animal. Any decision to provide post-exposure prophylaxis is made on the risks of the exposure to the human victim. Post-exposure prophylaxis should not be delayed pending the results of Rabies laboratory tests in the animal. The most important criteria are the non-availability for assessment of the biting animal in an endemic area, abnormal behaviour in the animal and type of contact. If in doubt, it is preferable to vaccine. In the case of AIDS patients (or otherwise immunosuppressed patients) it is particularly important to focus on thorough wound care when a Rabies virus exposure is suspected. The immune response to Rabies vaccine has been shown to be decreased in HIV infected persons. It is therefore advised that human Rabies immunoglobulin be administered together with vaccine not only for category 3, but also for all category 2 exposures for these patients. No other administration is currently advised. To reduce the risk of Rabies, it is important that thorough cleaning of the bite wound in initiated as soon as possible. The bite wound should ne copiously flushed immediately for 5 to 10 minutes with water or soap and water, while irrigation of deep puncture wound, for example following a feline bite, should be performed using a syringe. If antiseptic is available, for example a 1 in 20 dilution of 5% chlorhexidine in water, then this may be added to the water. Bleeding should be encouraged and wound suturing should preferably be avoided or delayed. Applying an iodine-based disinfectant or 70% alcohol to the wound after flushing is also indicated, as these chemicals inactivate Rabies virus. To lessen the risk of bacterial infection, antibiotic therapy should be considered. As most infections following mammalian bites comprise multiple pathogens, with mixed aerobic and aerobic species, it is essential that therapy should be selected appropriately. In addition to the usual aerobic and anaerobic Pasteurella multocida, which is isolated in 20 to 30% of dog-bite wounds, and is particularly associated with cat bites, and a cause serious infection with severe complications, and Capnocytophaga canimorsus, which can induce sepsis following apparently minor bites particularly in immunocompromised individuals particularly those without a functioning spleen. Antibiotic therapy is modified in line with laboratory culture susceptibility results when a patient requires hospitalisation as a result of severe local or systemic sepsis. Additional indications for hospitalisations include penetrating injuries of tendons, joints or the central nervous system, severe bites to hands or head and neck, patients requiring reconstructive plastic surgery with certain high-risk medical conditions, for example diabetes, asplenia, and peripheral vascular disease. To prevent tetanus, a booster dose of tetanus toxoid (TT) absorbed vaccine (0.5 ml intramuscular) should be given at the time of wound treatment in individuals who have completed a primary course of tetanus vaccination. Most adult tetanus cases occur in people who do not have a vaccination history. However, the benefits of regular tetanus boosting throughout adult life are sufficient to justify the costs of an administration programme and potential sensitivity reactions. The administration of anti Rabies immunoglobulin (RIG) complements Rabies vaccination in situations where viral transmission may have occurred, as production of vaccine-induced neutralising antibodies take seven to 10 days after vaccination. RIG is safe and provides rapid passive immunity that persists with a half-life of approximately three weeks. The human RIG currently used in South Africa is produced by fractionation of pooled serum from immunised persons. The introduction of human RIG proved a valuable replacement to the previously used anti-Rabies serum prepared in horses. Although the latter was effective and is still used in many developing countries, it may induce serum sickness. To ensure between 2 and 8°C during handling and storage. All patients who have received RIG should be observed for an hour thereafter. An emergency pack for treating anaphylaxis should be available. The dosage of human RIG currently available in South Africa is 20 International Units (IO) per kg body-mass. RIG is supplied in 2 ml ampoules with a virus-neutralising antibody content of 300IU. Preferably the complete dose of RIG should be infiltrated into the depth of the wound or tissue immediately adjacent to the wound. Where this is not anatomically possible, the remaining RIG may be injected intramuscularly into the deltoid muscle. RIG was traditionally administered into the buttocks, but there is evidence of low circulating Rabies neutralising anti-Rabies following RIG injection into gluteal fat. With multiple wounds, where the dose of RIG based on body mass is insufficient to infiltrate all wounds, the dose must be diluted up to 50% in saline to allow infiltration of all wounds. Failure to infiltrate all wounds is believed to have contributed to the deaths of a number of children. Local anaesthetic agents should not be used to facilitate RIG administration. RIG is administered on the day of initial patient presentation, traditionally referred to as a day 0, with the first dose of vaccine but at separate injection sites. This is irrespective of the time elapsed since exposure, which represents a departure from the previous recommendation that RIG should only be given to patients presenting within a week of exposure. If RIG is not available when vaccination is initiated, it may be administered up to day 7 after the administration of the first vaccine. RIG administration is not recommended prior to vaccination, nor is it currently recommended for individuals who have received pre-exposure vaccination as it is believed that RIG may interfere with the rapid anamnestic response to vaccine. Rabies vaccine, when given post-exposure, induces immunity within seven to 10 days. Two cell-culture vaccines are currently registered for use in South Africa, i.e. purified chick embryo cell culture vaccine (PCECV) and purified Vero-cell Rabies vaccine (PRVR), and are highly purified and inactivated vaccines that meet the WHO potency standard of greater or equal to 2,5 IU per dose. All persons judged to be at high risk for Rabies exposure should be vaccinated, with treatment being initiated as soon as possible even if there has been a delay in presentation to the health service. The treatment/prophylaxis schedules presented here are based on the most recent WHO recommendations, and are valid for the cell-culture vaccines registered in South Africa. However, it must be emphasized that the Essen intramuscular regimen is the only recommended schedule and administration route for South Africa, and expert advice should be sought before using an alternative regimen. The vaccination schedule may be discontinued if the suspected source animal remains healthy for 10 days after the exposure or if an approved veterinary laboraoty reports the brain specimen from the animal as negative. There are a number of important legal considerations relating to the diagnosis, management reporting of Rabies in humans in South Africa. When deciding whether a doctor has been negligent the court issues whether the doctor concerned acted as a “reasonable medical practitioner would have done under the same circumstances”. Four questions are usually considered; if the first two are satisfied then the accused person is said to have owed the injured person a “duty of care”. Whether this has been breached is determined by answering the next questions. Would a reasonable medical practitioner in the same position have foreseen harm? Would a reasonable medical practitioner have taken steps to guard against occurrence of harm? What steps would a reasonable medical practitioner have taken to prevent the harm? Did the accused take these steps? The more serious the potential results, and the greater the likelihood that harm will occur, the greater the possibility that the courts will impose a duty of care. Therefore, with the existence of national guideline on the management of persons potentially exposed to Rabies in South Africa, breach of these guidelines, for example failure to adequately treat the wound, failure to notify a state veterinarian or police officer about the existence of a potentially rabid animal, failure to complete the correct regimen of post-exposure prophylaxis, would most likely be considered unreasonable care and therefore negligence. In terms of section 45 of the Health Act (Act No. 63 of 1977) Rabies is a notifiable disease. It is therefore required that the responsible local or provincial authority and state veterinarian be informed of any human tabbies case, death or contact on the prescribed form, GW17/5/ Rabies is unique as it is the ONLY notifiable disease where contact by a person with an infected animal is also notifiable. A suspected Rabies should be considered as due to an unnatural cause. A definitive diagnosis is of particular importance where an animal owner may be liable for not ensuring that his/her dog or cat was vaccinated according to legal requirements. A post-mortem should be requested and although relatives should be counselled, consent to conduct the post-mortem is not necessary. The Animal Diseases Act (Act No. 35 of 1984) provides for the control of specific animal diseases and for measures to promote animal health. The Minister of Agriculture may make regulations for accomplishing the purposes of the Act and has determined that Rabies control measures should be applied throughout the country. The decision was based on the geographical distribution of animal Rabies cases diagnosed over a five year period from 1995 to 1999. The Animal Disease Regulations identify Rabies as a controlled animal disease. The information in this article comes from The Guide for the Medical, Veterinary and Allied Professions compiled by the Department of Agriculture, Forestry and Fisheries, Republic of South Africa.